"Values matter. Our process is built on trust, integrity and excellence. We empower our clients to achieve the highest level of financial security by taking a holistic approach to financial planning. Each client receives a comprehensive and customized plan using world-class insurance services and internationally recognized investment products. With our attention to detail, ongoing oversight and sound advice our clients sleep well at night. 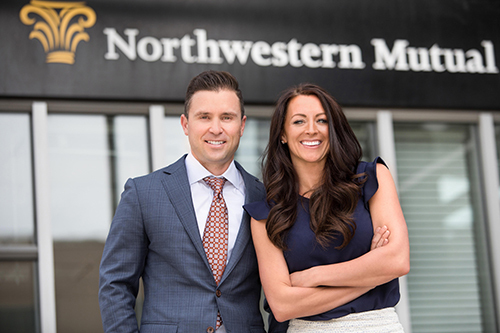 They know that they’ve formed a lifelong partnership, all backed by the strength of Northwestern Mutual." Many people are focused on saving a certain amount for retirement but don’t think about what they’re going to do with that money once they reach retirement—to make it last as long as they do. This video explains the different strategies needed for accumulation and distribution and why people need to know that there is a difference. With more ways to invest than ever before, it can be hard to make sure your money is working its hardest for you. While most companies focus on individual transactions, we look at your bigger financial picture. Then, we'll recommend a mix of investments, and can monitor and manage them over time, to help you get to your goals. This video illustrates why it's so important to spread investments across various asset classes. We work extensively with Physicians and Dentists on their financial wellness including Disability Insurance with a Medical Occupation Definition.